Alice has used Cover&Layout to produce the marketing materials for her second book Imagery from Beyond. Alice Best Jackson is a recovering divorce lawyer, author, radio personality, intuitive artist, and proud grandma. As the creator of Intuitive Spirit Art Designs, a method of automatic drawing used during private readings and Messages from Beyond® events, Alice’s “Art by Ali™” is featured in Imagery From Beyond™, a Messages From Beyond® Coloring Book series for grownups. Alice has used automatic writing for her personal spiritual growth since 1982, and teaches the craft by offering her experience and guidance to others. Dennis and Alice have added grayscale coloring books to their Imagery From Beyond Coloring Book series, featuring scenic photos from their many years of traveling across the United States. Dennis Jackson is an internationally acclaimed spiritual medium, author, musician, radio personality, and proud grandpa. Dennis’ readings, enhanced by his spirit guides, bring comfort to those whose loved ones have passed over to the other side. Dennis is gifted with the ability to spiritually connect with people and pets both on this side of life and on the other side. Whether in a one-on-one reading or group event, or via television and radio, Dennis' gift of enabling spiritual communication has provided thousands of people with emotional relief, clarity, and direction. His gift consistently brings forth the message that life is continuous and the ones we love remain with us in spirit form. His alter-ego is a local rock-star, and he plays lead guitar in his classic rock and cover band, North by Northwest. They play venues in the greater Seattle area. Together Again – Dennis and Alice are co-hosts of the popular Internet radio show Messages from Beyond®. They are considered experts on the subject of Twin Souls and relationships. In addition to their coloring book series, they are co-authors of the books: Together Again: Twin Souls Reunite in Love and Life, and the soon to be published Life is an Illusion: Loving Messages from Beyond. Maintaining a five-star rating on Amazon.com and bn.com, Together Again has been endorsed by best selling authors, Larry King, James Redfield, and Alan Cohen. Dennis and Alice's Messages from Beyond® events help participants move through their grief and provide comfort through messages received from loved ones on the other side. 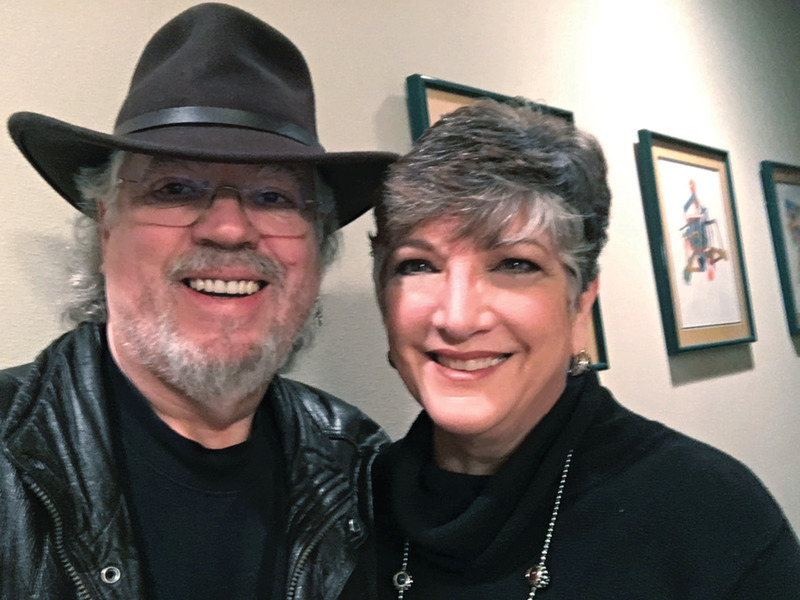 Dennis and Alice travel around the U.S. presenting classes and workshops on relationships, spirituality, dream analysis, and developing intuitive pathways. As Twin Soul Spiritual Mediums, Dennis and Alice find it rewarding to work with people and assist them in tapping into their own natural psychic abilities, providing them with the tools to recognize and solve their own issues, thus enabling participants to regain control and power over their own lives. Learn from this incredible couple as they share with you the insight and messages that are passed through them to you from the Other Side. Dennis and Alice have appeared as featured guests on hundreds of radio shows, in addition to hosting their own weekly Internet radio show on www.blogtalkradio.com/messagesfrombeyond. Their TV appearances include five segments on Access Hollywood. They have produced a variety of meditation CDs which are available at: www.messagesfrombeyond.com. Imagery From Beyond: A Messages From Beyond Coloring Book (Volume 1) is available in paperback. Imagery From Beyond: A Messages From Beyond Coloring Book (Volume 2) is available in paperback. Together Again: Twin Souls Reunite in Love and Life is available in paperback and Kindle.